As a town full of world-class amenities, Park City does not disappoint when it comes to live music and concerts. Throughout the entire year, bands and musicians come from all over the world to put their talents on display in this mountain community. During your visit to Park City you may encounter huge headlining acts, seasonal music festivals, or simply happen upon live music popping up in bars, restaurants, and lounges across town. For beloved acts in a historical setting, look no further than the Egyptian Theatre. A presence in Park City since the 1920s, the ornate theater offers a rare chance to see full music productions in a relatively intimate setting with only a 266-person capacity. Recent acts have included golden oldies, singer-songwriters, and mega tribute bands. On the opposite end of the music venue spectrum is the DeJoria Center, just 16 miles outside Park City. The beautifully modern space hosts concerts for larger crowds and the picturesque ranch location can’t be beat. Watch the event calendar for national touring acts, and check out the entertainment center’s State Road Tavern for food, drinks, karaoke nights, and free first Friday performances. Head to O.P. Rockwell for live music paired with craft cocktails in a swanky, underground speakeasy atmosphere. Depending on the night and band, you might be able to hang out in plush armchairs while the live music takes place in the background, or there might be standing room only as the house is rocked and everyone dances. Another must-experience summer music festival in Park City is the Deer Valley Music Festival. 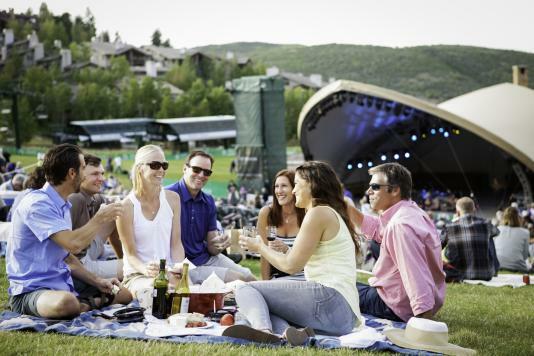 As the summer home of the Utah Symphony | Utah Opera, this concert series combines orchestral performances with pop acts for crowd-pleasing shows at Deer Valley Resort’s Snow Park Outdoor Amphitheater. The location is a hub for summer music with the Deer Valley Concert Series, featuring major national acts, and the Grand Valley Bank Community Concert Series, presented by Mountain Town Music and featuring local acts, also hosted here. Park City Institute presents the long-running summer music event, the Big Stars, Bright Nights Concert Series at a variety of locations in Park City. The annual lineup includes acts ranging from legendary to up-and-coming, but all are sure to entertain with something for everyone. Additionally, swing by Canyons Village every Thursday and Saturday from July to September for free concerts featuring a diverse array of musical genres. The live music and concerts also ramp up during the cold season of winter sports, so be sure to check the events calendar for the music happening while you’re in town.